When you want to send your sweetest - and sunniest - wishes, this beautiful arrangement will perfectly convey your sentiments for you! 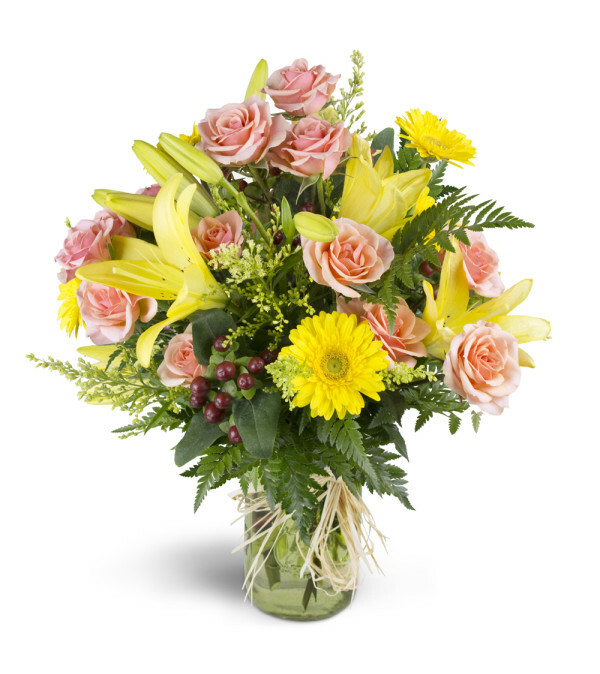 From celebrating a new baby to sending get well wishes, this simply stunning bouquet is sure to bring big smiles with it. Featuring soft pink spray roses and bright yellow mini gerbera daisies, arranged in a charming green glass mason jar vase, this bouquet is perfect for just about any occasion. Can always count on Marianna’s to create the very best. Never disappoints. Everything went perfectly smooth! From ordering online to my sister getting her beautiful birthday bouquet on time!! 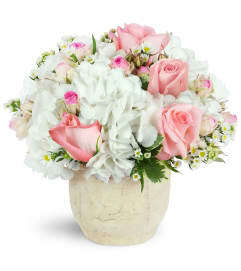 Would definitely order again from Marianna’s Flower Island! 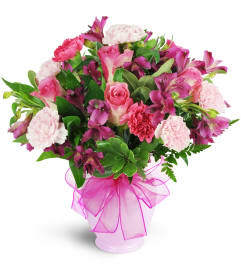 Marianna's Flower Island is a Lovingly Florist in Burlington. Buying local matters. Discover how Lovingly supports local florists. Copyrighted images herein are used with permission by Marianna's Flower Island.